No other window dressing can match the versatility of tier-on-tier shutters. The twin panels can be opened independently, like stable doors, giving you ultimate control over light and privacy in your room. Tier-on-tier shutters are the perfect choice for overlooked rooms or homes on busy streets. Closing the lower tier gives you total privacy in the living space, with the upper tier thrown open to let in all the natural light you want. The multitude of combinations of open and closed panels and slats makes tier-on-tier the perfect all-weather shutter. Open it all up in the summer for maximum ventilation and light; keep everything snugly closed in winter for warmth and comfort when you want it most. 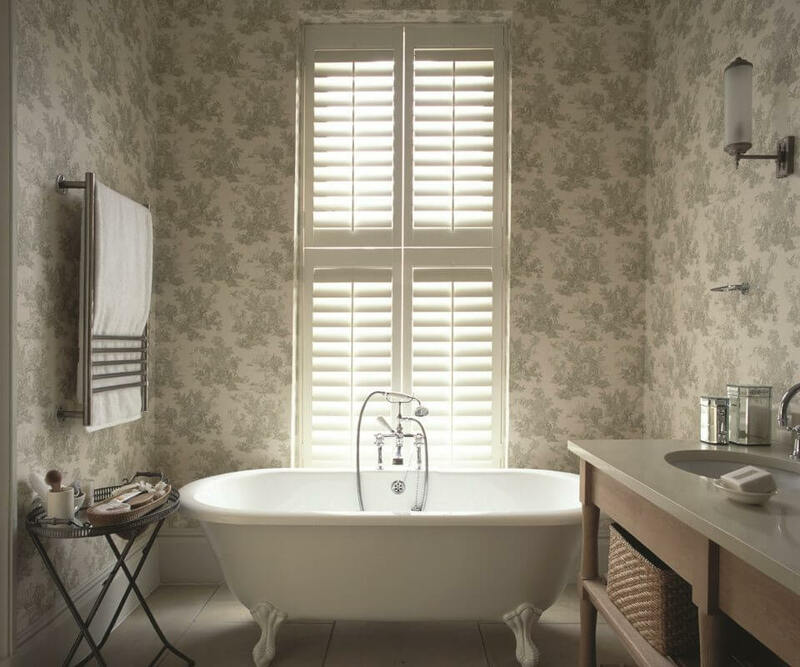 No other window dressing or shutter style on the market can offer the versatility that tier upon tier shutters can. The slats can move independently top and bottom allowing easy light control but the panels also open like stable doors meaning that you can fold back just the top section of panels to allow maximum light whilst keeping privacy at all times. Closing the bottom section allows for lower level privacy while still being able to have maximum light in through the top section. 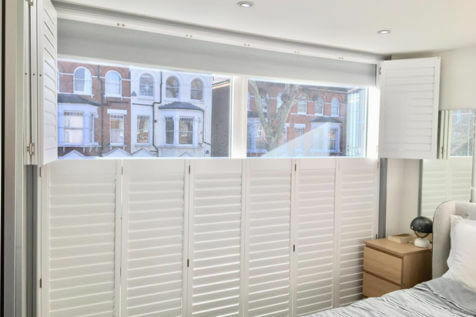 Tier on Tier shutters are ideal for busy and built up areas where privacy is paramount as their ability to offer light and privacy simultaneously cannot be mimicked by any other window dressing. 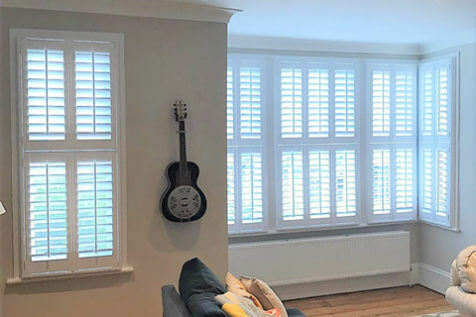 This style of shutters is fast becoming one of our most popular styles because of the ultimate flexibility of the panels, allowing the homeowner to adjust the shutters in a multitude of different ways which just can’t be achieved in the same way with other styles. 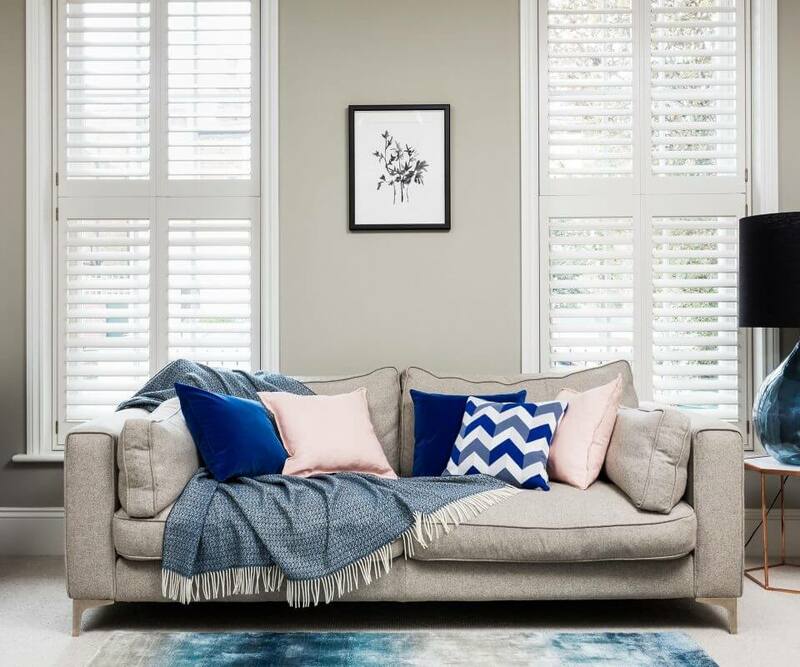 As with all our shutters we can create our Tier on Tier shutters in many different finishes of paint and stains as well as customising of tilt rod locations, louvre sizing and extras that can be added. 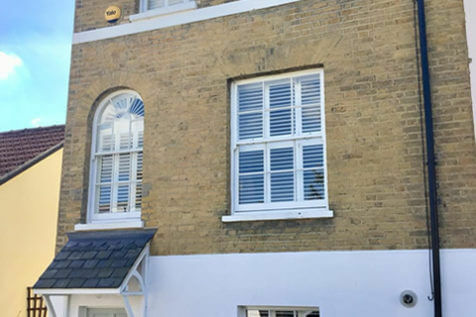 Our Tier on Tier shutters can be installed in many locations of the home and as with all our shutters are not just limited to windows, with many customers having these shutters fitted to other openings throughout the home. Their ultimate functionality makes them Ideal in all weather conditions, including summer and winter conditions while also acting as a great solution for those who need privacy at different levels. 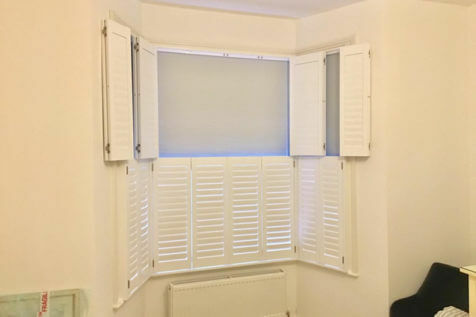 Tier on Tier Shutters are much like Full Height Shutters with a mid rail, but with this style you can actually open and close the sections independently rather than the whole panel moving as one. In the summer you are able to open all panels top and bottom for maximum ventilation and a cool environment whilst in the winter you can close all panels and tilt all louvers for maximum insulation and warmth. Our shutters come complete with a 3 year guarantee on all panels as standard. Our shutters are manufactured to the highest standards by one of the world’s top manufacturing facilities. All shutters are engineered to stand the test of time and finished perfectly using top quality timber and styled to your exact specification.